Aquafresh is the best toothpaste. @Blitz Boom Serenade smiles, a genuine smile. "Well" She clears her through, "We musn't keep Princess Sparkle waiting." Serenade waits for Last to lead her to Twilight's chamber, "I haven't seen that greeting in pony before, only in a history book." She lowers her voice, "I'm not one of the Night Stalkers, but my mother was. Please don't tell anyone...just yet." It was less like what the show was leading up to until season 5. It was less flashy, less meta, less fan-serviced. However, Season 7 continues the essence where season 5 left off. Nonetheless, I think season 6 explores some unique aspects of certain characters and their relationships. There are some good episodes. But people remember the worst episodes and the best few episodes the most. Season 3's ending was so controversial, people judge the entire season based on it. 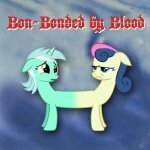 Season 6 had an underwhelming premiere without villains which they didn't expected, it had the infamous Newbie Dash, the mediocre The Cart Before The Ponies which misrepresented the vanilla tone of the season, Applejack's "Day" Off, which was criticized by making Applejack unreasonably dumb, 28 Pranks Later, which was also controversial. I still consider the last two good episodes. Buckball Season was great, Where The Apple Lies was one of very few examples of doing a fanservice wile telling a self contained complete story, The Saddle Row Review was well directed and benefited from the personality of directing, Gauntlet of Fire was great because they used an opportunity of exploring unknown territory as a driving force for writing fresh and unconstrained story, Flutter Brutter had an annoying character but a painfully real situation as well, A Gift of Maud Pie was a well written heart warming story based on characters and utilized them well, Top Bolt made The Wonderbolts fresh and exciting again ever since Rainbow Dash joined them, and also told a great friendship story and dealt with real conflicts as well, and the season's finale was a clever twist and avoided the obvious "Where is Luna? Where is Celestia?  Where is Discord?" dilemma while not using the Elements which was getting stale for a while. 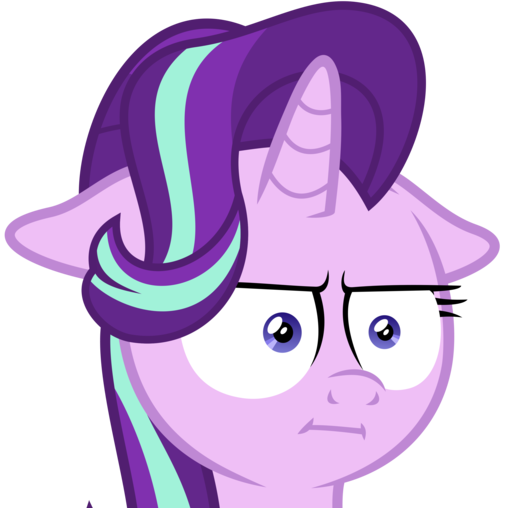 However, my biggest blame on season 6 is, not exploring and growing Starlight Glimmer enough in a way that matches her importance as a main role for later seasons, and writing the CMC's post-cutie mark episodes less interesting than it could have been. But I still think it's not a bad season. Even it doesn't have some few extraordinary episodes like season 5, it is more stable and constant and more interesting than season 5 for me. Season 6 is one of those seasons for me. Where it's quality is kind of infamous, but every single time I stop to think, I can't really pinpoint a large amount of episodes I disliked from it. There were some to be sure, and I didn't like Gauntlet as much as others did, but nowhere near enough to ruin the episodes I liked a lot. @Scare Effect @megisawsm417 Briarstar nods "well, I'm willing to listen to any thoughts you may have" she says to Redstar "After all, you were right the last time" she purrs. @Scare Effect Willow pads out and smiles "Hello Jinx, I was worried about you"
Just remembered I'm visiting family tomorrow, so looks like I won't be able to watch the new episode live. Hope you all enjoy yourselves without me! @Dream Walker Dynamo looked towards Scarlet, who had gotten out her purse and nods at her idea. "Okay and that sounds good. I haven't tried the food cart or restaurant carriage before. Seeing how the trip usually takes about an hour or so to reach the destination. Since we'll be waiting for a little while. I guess it's good to try out new things. Plus, the whole food cart reminds me of the food trolley from Harry Trotter. I always loved reading the books and watching the movies." He chuckled slightly, resting his head against her head. "You'd be surprised how all the major landmarks are pretty close to home. Don't worry because you'll have the whole town memorized like the back of your hand. Maybe when and if I get done work early, I can stop by the boutique to pick you up. That way, we can walk home together and see how the other's day went." He smiles softly as he nuzzled her gently.